Chester Street is a former industrial site, next to the River Rother, on the periphery of Chesterfield town centre. 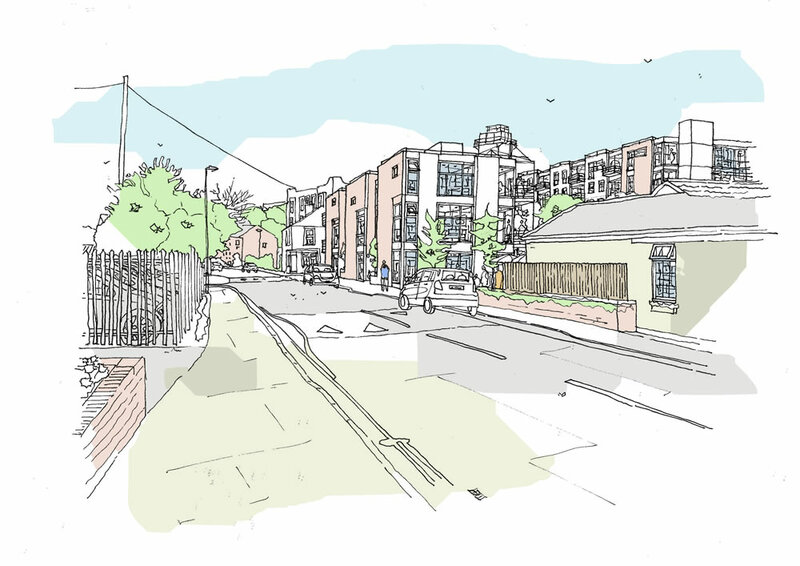 The project is to demolish the existing industrial unit and build a residential development. 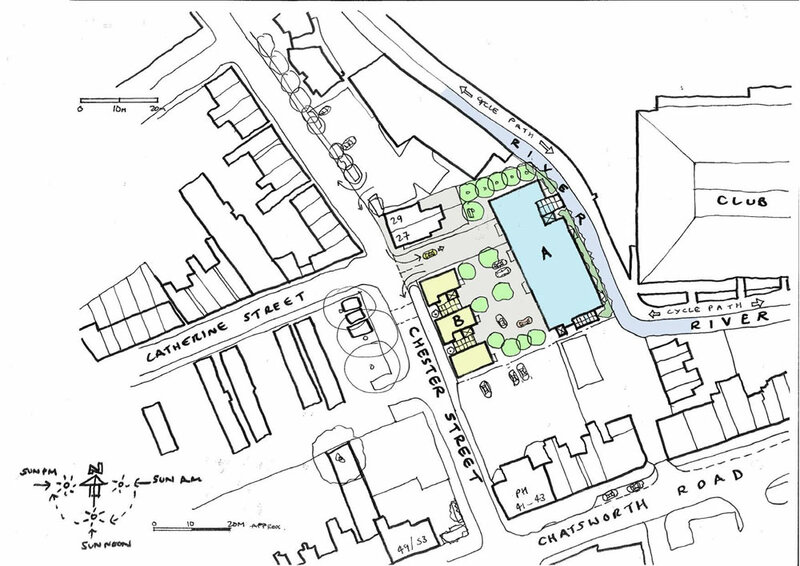 The proposal is to create two buildings, forming a court yard at the heart of the site. 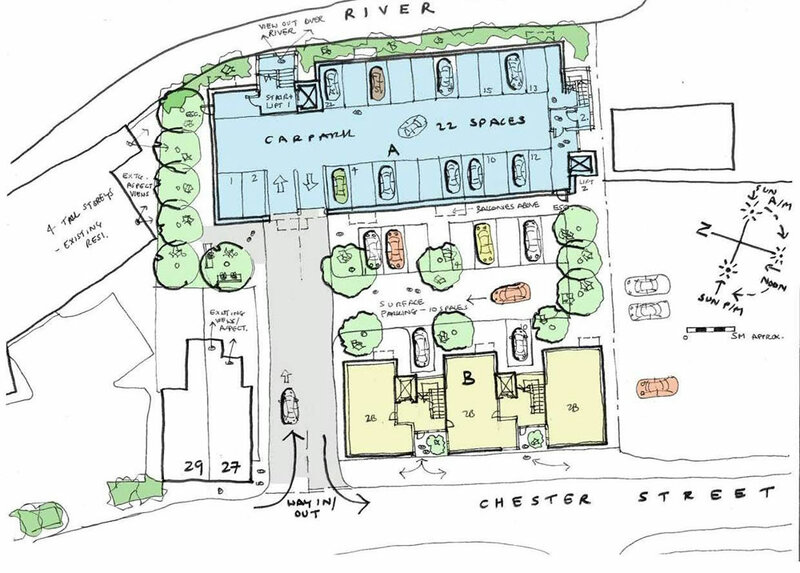 One building creates a new frontage to Chester Street. In height and scale this unit responds to the size of the terrace houses which front the adjoining streets. The other building is set over-looking the river. This unit is 4 storeys high, echoing the height of the adjoining 19th century mill building. The two buildings contain twenty 1 or 2 bedroom apartments. Architecturally the buildings will echo the robustness of the adjoining mill, but will utilise modern contemporary materials.